We use the latest in UAV (Drone) technology to capture the best footage. The Inspire boasts the ability to film in 6.2K and capture high resolution images at 24mp. The UAV hosts a 3 axis gimball which allows smooth, cinematic footage. Our multi rotor UAVs can operate up to 400ft and at a distance of 500m from the SUA Pilot in charge allowing for a lateral distance of 1km to be covered subject to location. What we see, you see. 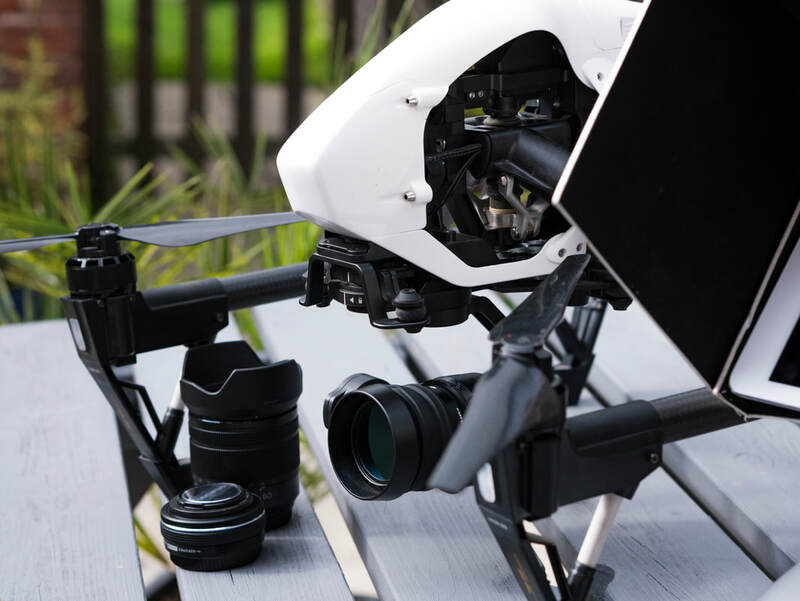 A radio link between the UAV and ground station live streams the images to the ground which ensures the shot you want is achieved, a separate HD monitor can be linked for clients convenience. Every job undergoes pre-flight and on site surveys, to ensure the safety of everyone involved, environmental factors have to be taken into consideration and closely monitored before the flight, as well as obstacles on the ground or indeed in the air! There are strict CAA guidelines that we must adhere to in order to operate, and we will be able to outline any feasibility concerns in a timely manner upon first contact with some basic job details and locations. We have experience operating in congested areas including London, and have solid working relationships with the relevant authorities, as well as solid risk mitigation measures in place to ensure the job is flown legally and safely. 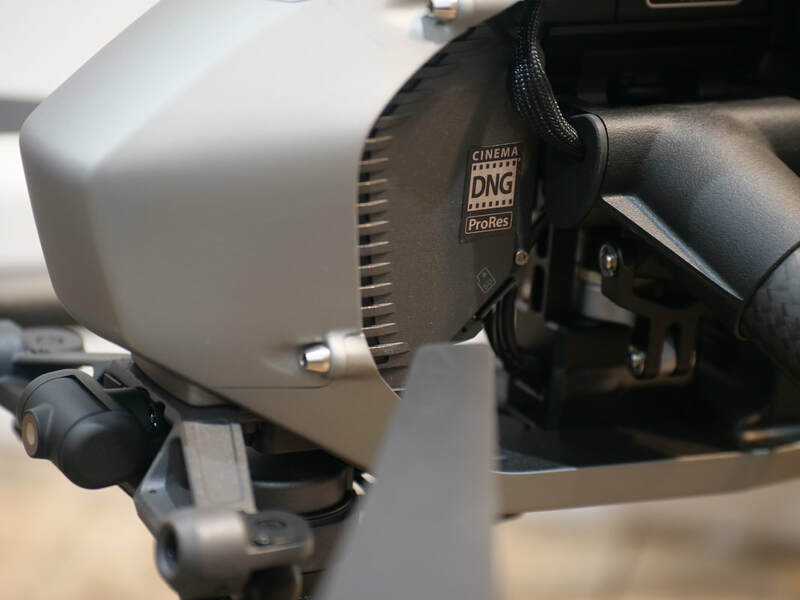 ​We also offer ground filming and photography, we have a Lumix G9 capable of filming in 4K 50fps (150mbps) with Cinelike profiles, GoPros for those personal shots, and we also have a DJI Osmo PRO, which is a hand held stedicam rig, and allows us to attach the UAV camera for continuity of shots, this can be attached to vehicles, boards, our UAV or pretty much anything else! We have a high quality mic, ideal for interview situations. We have a state of the art in house editing suite, all RAW footage will be send to the client on completion of the job, post production is quoted on a job by job basis. Our Drone Camera Operators are approved by the CAA to operate commercially 24 hours a day 365 days a year, not being restricted to daylight operations like many competitors. Our CAA permission number is 3808 it is a criminal offence to hire a drone pilot for hire or reward, is s/he does not hold this permission. We are fully insured with £5m Public Liability for Aerial Operations, and £1m for ground operations which can be extended for certain client requirements. We are a Kent County Council preferred supplier, and are KCC trading standards approved.